We're looking forward to summer and pool season. And remember those paperdolls we posted a little while ago? They're also looking forward to hitting the pool. 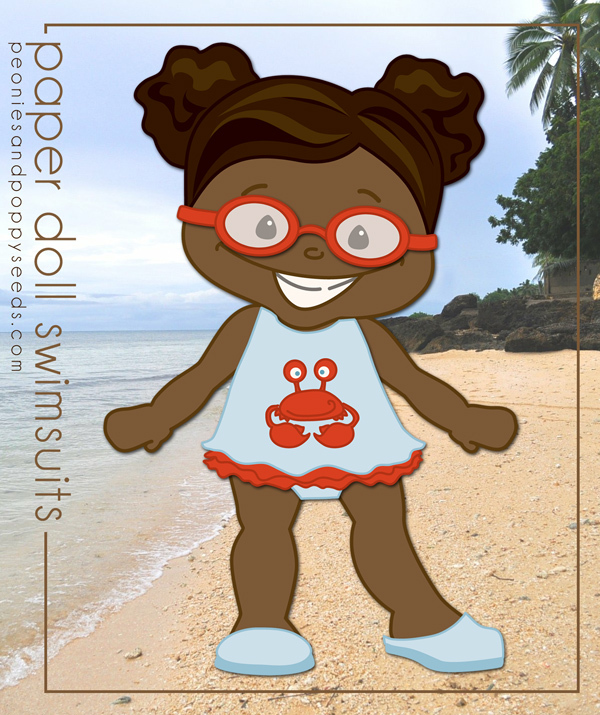 Get your paperdolls some swimsuits! 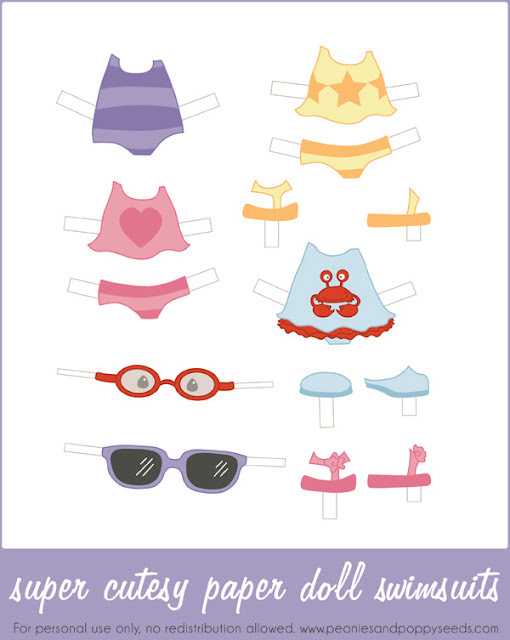 This is a free download, but make sure you also get the original paperdolls download (which is also free). All of these suits, shoes, glasses, and goggles will fit on the original dolls. Print these on cardstock and laminate them to last longer. Or you can cut off all the tags and mount the pieces on magnetic strips to get the suits to stay on easier. The magnets also allow you to play with the dolls in fun places like the fridge.